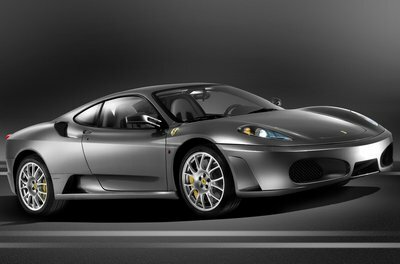 As a replacement for the popular F360 Modena, the new F430 exceeds the capabilities of its predecessor. Although, the F430 superficially resembles the F360, more aggressive front intakes, and larger rear scoops give it a more predatory appearance. A larger 4.3L V-8 promises class-leading performance: Ferrari claims 0-100 km/h (62 mph) in 4.0 seconds, and a top speed greater than 300 km/h (196 mph). The improved F1 electronically controlled gearbox also has a Launch Control feature (not available in North America) for maximum acceleration from rest.